You will be picked up their hotel in Ocho Rios or the Cruise Port by one of our licensed chauffeur. 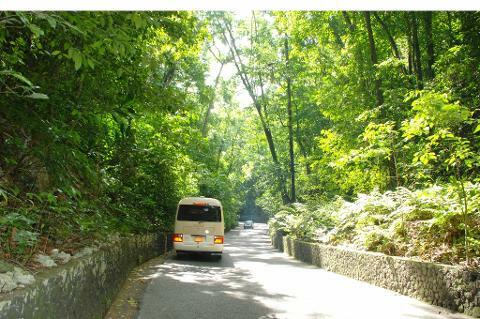 The tour begins as you come aboard the air-conditioned vehicle and head into the heart of Ocho Rios to the hustle and bustle of Jamaican life. Next you will make your way through the meandering road leading to Fern Gully a unique rain-forest which boast hundreds of different varieties of ferns. Though the origin of the Fern Gully is uncertain, many has said that it had possibly started out with an underground river flowing through caves and later the roofs collapsed. Some have also suggested that it was created in the 1760s by a flash flood. Many writers such as Marianne North 1871, Lady Brassey 1883, Antonio Gallenga 1873 wrote about Gully Road on their Voyages to Ocho Rios. After this two mile encounter of amazing vegetation stop along the way grab a souvenir from one of the many craft vendor in the Gully. Dunn's River Falls adventure is next with a 15 minute drive along the beautiful North Coast with the blue Caribbean Sea as it backdrop. After the historic experience, have lunch at one of Jamaica's famous jerk centers and enjoy the Delicious chicken and pork along with a ice cold Red Stripe beer or tropical fruit drinks. Wind down the experience with leisurely shopping at one of many Ocho Rios gift shops and craft store before heading back to your hotel or cruise ship filled with Jamaica!